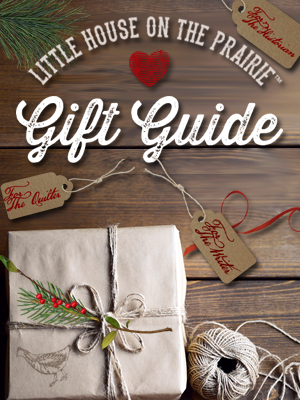 “Then Laura gathered up all the paper wrappings, and she helped Ma set on the table the big platter of golden fried mush, a plate of hot biscuits, a dish of fried potatoes, a bowl of codfish gravy and a glass dish full of dried-apple sauce. 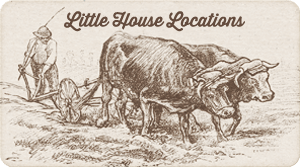 Most pioneers were subsistence farmers who grew their own fruits, grain, vegetables and raised livestock. 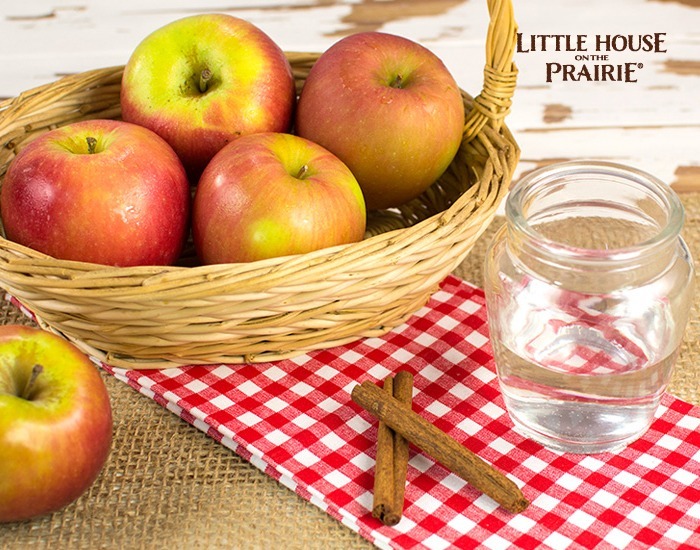 Most prairie homesteads had their own apple orchard that provided fruit for food and cider. Apples were an important harvest because they were used in so many ways. 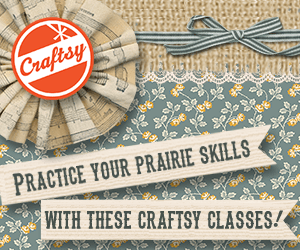 Some types were good for storing and would last several months in a root cellar. Only the perfect apples without bruises or insect damage would last in storage. Apples were sorted, and the blemish-free ones were layered into bushels and baskets and placed in the cool and dark root cellar beneath the ground. Other apples were turned into apple cider, apple molasses, apple butter, and apple jelly. Nothing went to waste. Even the cores and peels were used to make apple cider vinegar. Apples were also preserved by drying and storing them in airtight containers. These apples were sliced thin, strung on thread, and draped near the heat from the wood stove to dry. Dried apples were eaten as is or cooked into dried applesauce or dried apple pie. You can dry apple slices by a wood stove just as the pioneers did. However, using a modern-day food dehydrator dries the apples much more quickly. 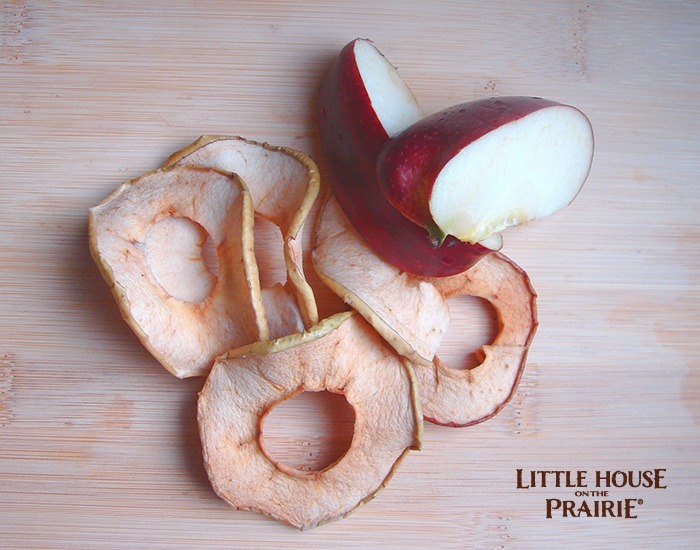 Peel, core, and cut your apples into 1/8-inch slices. Layer the apple slices on the dehydrator trays and dehydrate at 135°F (or per your food dehydrator’s instructions) until the apple slices feel dry and leathery, about 4-8 hours depending on the humidity in the air. Let the dehydrated apple slices cool for several hours. Then store them in an airtight container in a dry, cool, dark place for up to six months. Enjoy as is, or rehydrate to make dried applesauce. 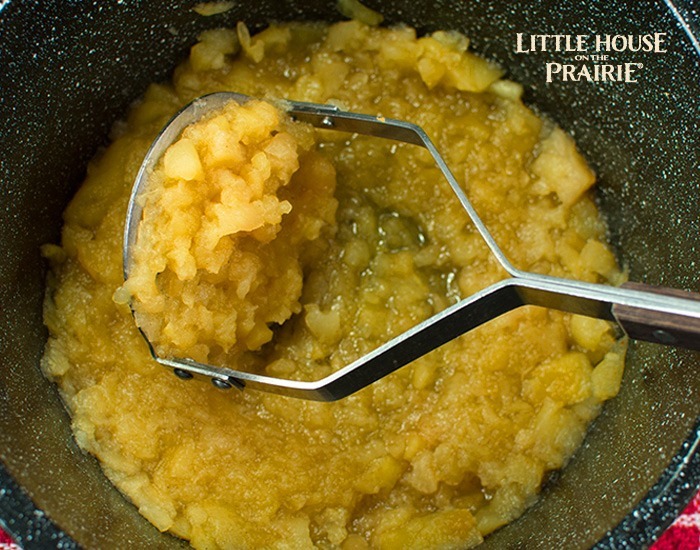 Ma Ingalls probably rehydrated the apples to make dried applesauce by soaking the dried fruit overnight and then simmering them until soft. Add one cup of dried apples (about 2 ounces) and two cups of water to a medium saucepan. Cover and bring to a boil, turn off the heat and let the dried apples soak overnight. The following day, simmer the apples until soft and crush with a potato masher. Add cinnamon to taste and additional water if needed to thin. Serve warm or chilled. 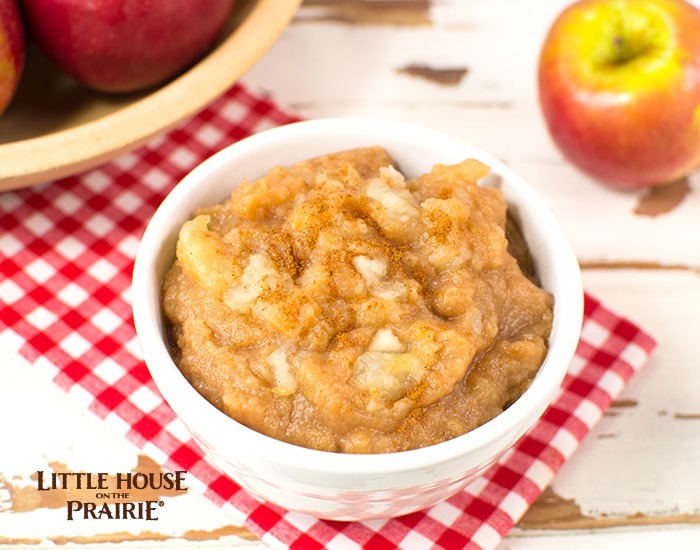 This simple chunky applesauce recipe uses fresh apples instead of dried fruit. 1. 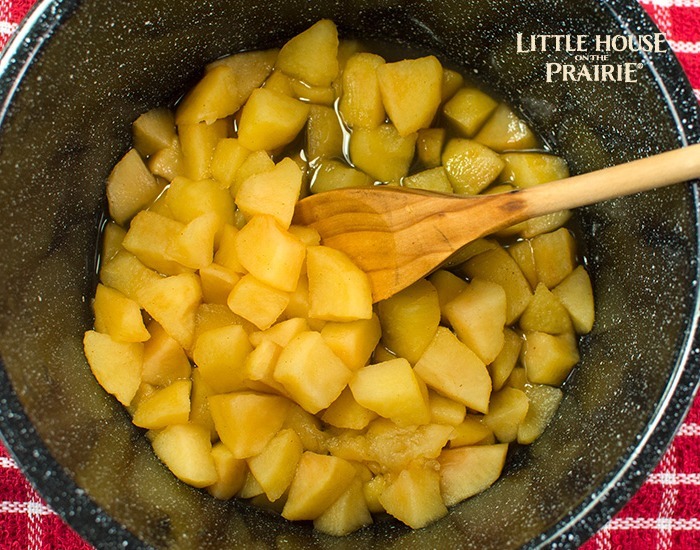 In a large saucepan over low heat, combine the apples and water. Cook until the apples are tender, about 15-20 minutes. Stir occasionally to prevent sticking. 2. Add the cinnamon and crush the cooked apples with a potato masher until your desired consistency. Serve warm or chill in the refrigerator before serving. Makes about 2 cups. How to Make Applesauce in a Slow Cooker: Instead of cooking the apples on the stove, try filling up your crock pot and let the apples cook slowly. 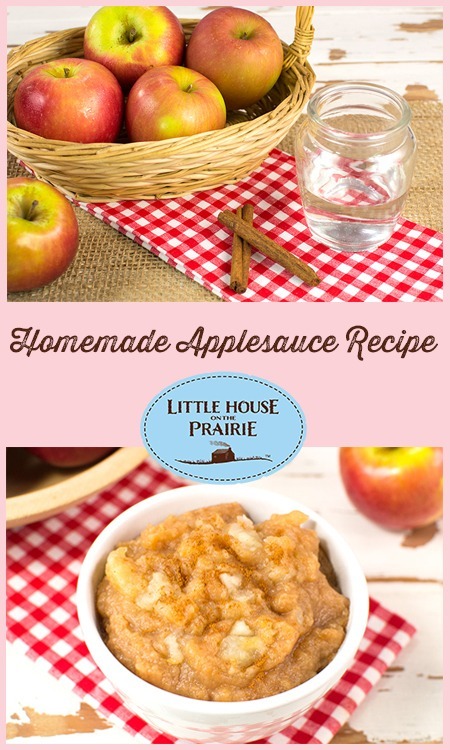 Crockpot Applesauce Recipe. 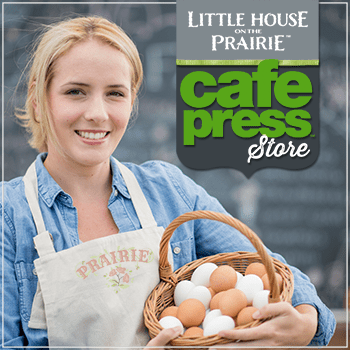 How to Can Applesauce: Unlike many canning recipes, apples do not require special ingredients to make them safe for canning using a water bath canner. Homemade Applesauce With Canning. 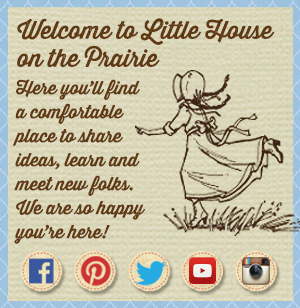 Sign up for the free Little House on the Prairie newsletter to get the latest recipes and inspired posts to help you celebrate your pioneering spirit. 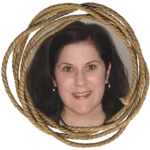 Rachel is the creator of Grow a Good Life, a homesteading and gardening blog filled with ideas for simple living. 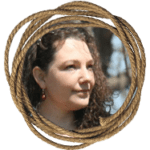 She writes about vegetable gardening, food preservation, keeping backyard chickens, and shares cooked from scratch, real food and garden to table recipes. Rachel hopes to inspire everyone to Grow a Good Life. Remember that the Ingalls family started out in Wisconsin where settlers were known to have grown apples early in the 1880s. http://www.dccl.org/information/apples.htm In fact the first commercial orchards were reported to be available there as early as 1830 though many would have grown their own apples. I’m not sure Laura tells us in By The Shores of Silver Lake where she got the apples from but applesauce was specifically mentioned by her (see the quote from the book at the beginning of the article). Dried apples would have been easy to store for winter produce pre-refrigeration. I thought that to make applesauce you needed ten different types.